According to US News & Travel, Cape Cod is ranked among the top 25 most popular honeymoon destinations in the country, with Martha's Vineyard and Nantucket in the mix as well. We couldn't agree more with their choices! At the Sea Meadow Inn, we want to make sure that your honeymoon is relaxing and enjoyable for both you and your loved one. Our authentic sea captain's style inn is located in Brewster MA, right in the middle of the Cape and a quick drive to popular destinations such as Chatham, Hyannis, and Wellfleet. After you contact us, we can recommend the perfect honeymoon suite according to your needs, such as our highly requested Deborah Room, the Lydia Room, or the Hattie May Room -- all of which feature spacious king-sized beds, private bathrooms and plenty of sunlight. We also want to help celebrate this joyous time by providing beautiful, fresh-picked local flowers, champagne for toasting and assorted chocolates upon your arrival. Don't forget to ask us about our recommended couples massages at E-Spa just down the road as well as our gourmet breakfast room service. 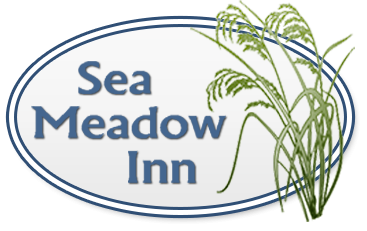 Booking a room at the Sea Meadow Inn is simple with our online booking service. Our bed and breakfast on Cape Cod is open all year long with a minumum stay of two night. Please don't forget to view our policies before making a reservation, and of course don't hesitate to contact us directly at 508-896-2223.